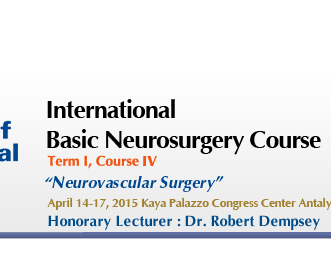 On behalf of the Turkish Neurosurgical Society (TNS) , we are pleased and honoured to invite you as a lecturer to the International Basic Neurosurgery Course, Term I, Course IV, “Neurovascular Surgery”which will be held between 14-17 April 2015 at Kaya Palazzo Convention Center, in Antalya - Turkey. The goal of IBNC is to sustain a standard, up to-date basic neurosurgery knowledge for the Neurosurgery residents and junior attending. 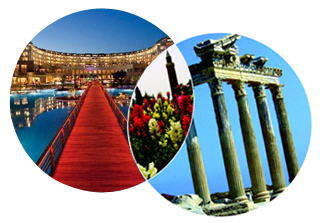 Each lecture topic are e-mailed to each faculty who will attend the course 5 months in advance. The faculty members are given app 3 months time period to present their presentations to Academic Organization Committee (AOC). Faculties who do not submit their presentations by the deadline are dismissed from the course and a new faculty is assigned by AOC. 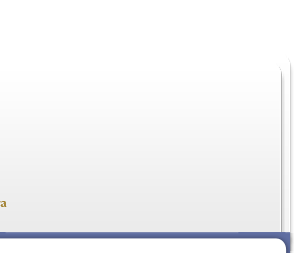 All communication is on-line through AOC secretariat and no personal communication is allowed. AOC members run the sessions as a chair and in case, replace a faculty who will not be able to attend his/her lecture. AOC reviews the presentations where all have a single format. If needed, they also ask for modifications. Once the presentations are ready, the chairman of that session, who is a member of AOC, prepares a case presentation and 2 multiple-choice interactive questions. The deadline for AOC preparations is 1 month prior to the onset of the course. Hence it is quite important that faculties must submit their presentations on time and slides have to be informative. The course starts with an AOC meeting. At this meeting, all sessions, lectures, case presentations and interactive questions are reviewed by the AOC. At 20:00 pm, AOC meets with invited faculty to have dinner and the format of the course is presented to the faculty. The AOC and faculty members must be present in lecture halls full time all through the course. At the same time, no accompanying person is allowed for he AOC, faculty and the students. Next morning, a wake-up call at 07:00 am is given to all groups including the faculty. The sessions start at 08:00 am and end at 18:00 pm. In the afternoon, sessions include workshops and discussion groups. Each course has 16-18 sessions with 4-6 lectures in each session. Lectures are 10-20 minutes. Time restriction is strict and over timing is not allowed. The session starts with a case presentation related to the topics of the session. The chairmen present the case and the students using a keypad vote the answer choices. The results are shown on the screen. Following, case presentation, lectures start. At the end of each lecture, the quality of the presentation (from 1 to 5) and the performance of the lecturer (from 1 to 5) are scored by the students using their keypads. (After completion of the course feedbacks and scores will be send to each faculty individually and confidentially) Completing the lectures, the same case presentation is re-asked and rescored and the difference between previous and current voting is shown on the screen. The session goes on with 2 interactive multiple-choice questions related to the lectures. The voting scores and correct answers are shown on the screen. Then, the chairmen start walking in between the students, asking questions and receiving contributions. This interactive questions-answers round lasts 10 minutes in each session. During breakfasts, lunches and dinners all faculties are expected to meet students and interact socially. Faculty must prepare their presentations in a single format, which is available on the website. It is quite important that faculties must submit their presentations on time. The deadline is January 12th, 2015. Presentations must consist only basic knowledge. A presentation about personal experience (for example; personal series) is not allowed. Detailed surgical techniques will be discussed only during the video sessions. 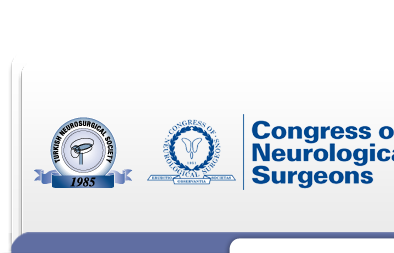 On behalf of Turkish Neurosurgical Society, we would like to thank for your support.